Here are the best exercises to grow the biceps! In this article we will discuss the best biceps exercises for developing stronger (and more muscular) biceps. Don’t think you need to train biceps? Think again! 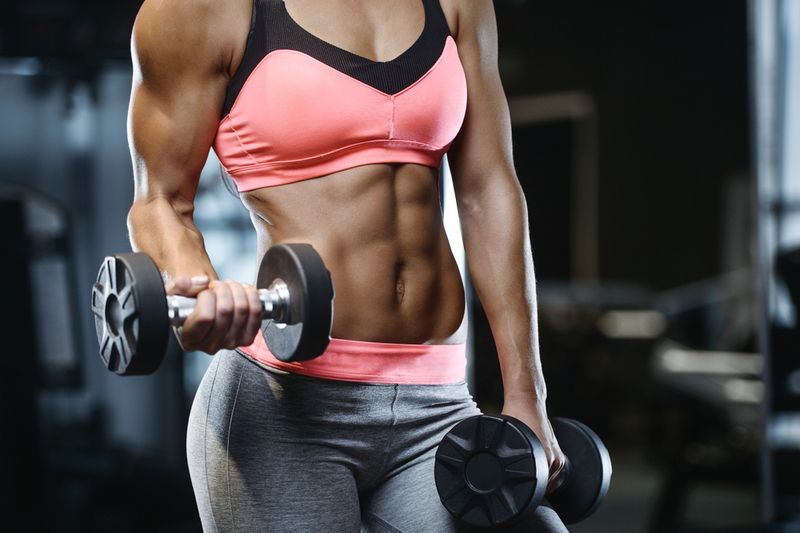 What are the biceps muscles? Why is biceps training important and who can benefit? 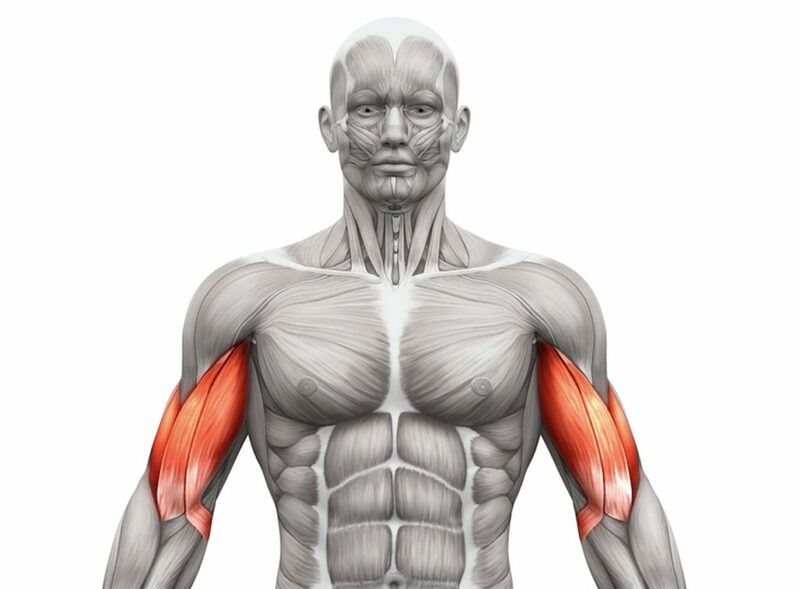 Below is a breakdown of the individual muscles that make up the biceps, along with the specific purpose of each. Biceps brachii is latin for “two-headed muscle of the arm”. The biceps attach across two joints (the elbow and the shoulder), making it serve a few various functions. First, the biceps can contract to create both elbow and shoulder flexion. Additionally, the biceps is also responsible for supination of the wrist (palms up). The biceps is key not only for increased arm size, but for grip and pulling strength and overall health of the connective tissues that support the elbows in gymnastics, deadlifts, cleans, etc. Author’s Note: Some biceps exercises below will also stress the forearms and back, as they are also prime movers in some pulling movements. The amount of activation and stress will vary from exercise to exercise. Below are a few reasons to train biceps, specifically for certain types of athletes and populations. Strength athletes can benefit from training the biceps due to their ability to assist in movements like deadlifts, carries, and pulling. Stronger biceps will enable greater amounts of force to be generated via increase grip strength and upper body strength. 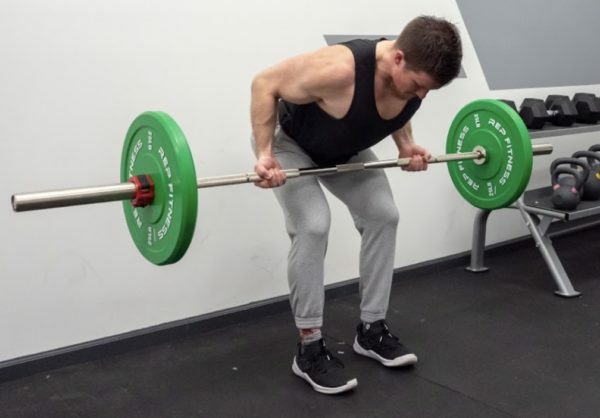 While bicep curls may not increase your deadlift directly, they will help reduce strain and stress placed upon the connective tissues of the elbow (as the muscle will work eccentrically to control heavier pulling movements). The biceps, while often during pulling movements like deadlifts carries, pull/chin ups, rows, etc, can be trained additionally to increase biceps shape and size. Many general lifters will not need to devote a large amount of time to biceps specific work if a program consists of various pulling movements (such as some of the rowing variations below). When looking to increase fitness and health, biceps training may not be at the top of everyone’s to do list. For most fitness goers, the time spent curling could be put towards gaining cardiovascular fitness, mastering pull ups, squats, deadlifts, and other foundational compound lifts (such as the supinated grip row). With that said, adding some biceps curls into an everyday program can be acceptable, and often is warranted for the sake of the everyday lifters enjoyment in training the arms. Adding any amount of muscle mass as one ages/is inactive is key for long term health, wellness, and quality of life. That said, if someone is in the gym and ready to work, the bicep curl (while a powerful arm building exercises) may be too one-dimensional for people who should be moving more, performing compound lifts, and understanding how to improve their overall health and well-being. Like the everyday lifter, bicep curls can be helpful for boosting moral of attacking aesthetic goals, and can be used as such; as long as they do not take precedence over more compound and foundational movement in training. Below are 8 (eight) of the best biceps exercises for overall development, strength, and aesthetics. The barbell curl is one of the more iconic biceps exercises to date. When done correctly this exercise targets the biceps and can add serious size and strength to the entire muscle, often with higher amounts of loading the other biceps exercises. Below are three benefits of the barbell curl that coaches and athletes can expect to gain when adding this barbell training classic to training programs. Once you ‘ve mastered the technique (which you can do so by reading below), you can simply add load or reps and build some serious pipes with this barbell-based arm exercise. The ability to add higher amounts of loading to bar makes this exercise still one of the most foundational biceps exercises out there. While there are a plethora of biceps exercises and methods to choose from, the barbell curl finds its way at the top of every one, primality due the fact that it allows a lifter to load weight on a bar, and move it. The overall stimulus of overloading a muscle group and lifting to failure cannot be beat. That said, a lot of lifters may skip ahead and try fancier, more flashy versions of biceps exercises. Be sure to master this one first to build mass, then work in the more isolated movements afterwards. One aspect of training strength and size is loading, and the barbell curl allows for just that. Simply put, the barbell curl allows a lifter to use slightly more weight than in other more isolated exercises (such as the concentration curl), which helps to build general arm size and strength, the building blocks of a great arm program. Below is a brief guide on how to perform the barbell curl. Step 1: Grab a barbell with an underhand grip, slightly wider than the shoulders. Step 2: With the chest up and shoulder blades pulled tightly together, expose the front of your biceps by pulling the shoulders back into the socket. The elbows should reside under the shoulder joint, or slightly in front by the ribs. Step 3: Curl the barbell up using the biceps, making sure to not let the torso lean forward, shoulder collapse forward, or the elbows slide backwards to the side of the body (they should stay slightly in front of the shoulders). Take a look at out our Barbell Curl Exercise Guide and learn how to add size and functional strength to your biceps! The chin-up is a bodyweight exercise that can induce serious muscle growth of the biceps (and back). Often, however, lifters may perform these incorrectly, using a lot of the anterior shoulder and grip muscles. Be sure to read the how-to-section to maximize chin-up performance, strength, and muscle building. Below are three benefits of the chin-up that coaches and athletes can expect to gain when adding this bodyweight mass building exercise to training programs. The chin-up can be used to increase upper body strength necessary for overall performance, pull-up training, and general size. Chin-ups, pull-ups, dips, push-ups, etc do not require any additional weight or equipment, making it a great bodyweight exercise to incorporate into any program. As one progresses, they can increase the volume (reps) of the chin-up and/or eventually add external loading (weighted vest, dumbbells, chains, etc). This is a skill that many recreational lifters are deficient at. The ability to move one’s body with control and stability is necessary for functional fitness, everyday life, and injury prevention. Be sure to master the chin-up and other bodyweight movements in addition to adding loading elsewhere. Step 1: Hang from a bar with the wrists supinated (palms facing you) and the hands about shoulder-width apart, or slightly wider. The wider the hands the more back is involved, and less anterior shoulder. Step 2: From a dead hang, retract and depress the scapula so that the middle back is stable, making sure to keep the chest up and head cradled in between the arms. Step 3: With a tight, hollow core position, slightly lean back and pull you chin over the back, making sure to not let the body fold inwards (so many people do this). This will obviously be easier than holding the CORRECT position, but will also add additional strain on the shoulders. Take a look at out our Chin Up Exercise Guide and learn how to master this foundational bodyweight mass building exercise! The EZ bar preacher curl is a bicep curl done with a speciality bar. This specialty bar places the wrist in a 30-45 degree supinated angle, slightly different than the standard straight bar. This can help to stimulate different muscle fibers of the bicep and help to reduce strain on the wrists in lifters who may have discomfort with a straight barbell curl. Below are three benefits of the EZ bar preacher curl that coaches and athletes can expect to gain when adding this isolation exercise to training programs. The EZ bar curl allows us to challenge the biceps at varying angles when compared to the straight bar. This can be helpful at stimulating new muscle growth and adding variety into arm training. The EZ bar curl does a good job of isolating the biceps and allows for a deeper degree of flexion at the top of the movement, furthering the contraction. This semi-supinated grip placement can be less staining on the wrists than the straight bar in come lifters who may find discomfort when using the barbell/straight bar bicep curl. Below is a brief guide on how to perform the EZ bar preacher curl. Step 1: Set your body in the same position as the standard barbell bicep curl (chest up, shoulders back, and elbows slightly forward). Step 2: Grasp the EZ bar handle on the inner angled pieces. This will place your hands slightly narrower than shoulder width and on a semi-supinated angle. Step 3: With the body locked in place, curl the bar upwards as you flex the biceps, briefly pausing at the top of the curl to flex the biceps. Lower under control, and repeat. The hammer curl is a dumbbell curl variation that places the wrists in the neutral position, therefore isolating the brachialis and brachioradialis (outer biceps and forearm). Below are three benefits of the hammer curls that coaches and athletes can expect to gain when adding this bicep and forearm building exercises to training programs. The hammer curl, like many of the exercises on this list, can increase arm size and strength significantly. Unlike the other movements, however, the hammer curl adds size and strength to the outer aspect of the biceps and forearms. The hammer curl can increase grip strength due to its targeting of the brachioradialis and forearm/grip muscles (primarily due to the neutral grip placement). The varied wrist position (neutral) can help to strengthen the wrist in other positions than just supination and pronation, making the hammer curls a good exercise to reinforce wrist stability and grip strength while training arms. Below is a brief guide on how to perform the hammer curl. Step 1: Grab a pair of dumbbells with the hands to your sides, palms facing the body. The chest should be tall, shoulders set back and down the back, and the elbows under shoulders. Step 2: Lift the dumbbell upwards so that the thumbs come up first, making sure to not rotate the wrist into the supinated or pronated position (keep the wrist neutral). Step 3: The elbows should go into about 100-130 degrees of flexion, forcing the biceps to contract aggressively at the top. Then, lower under control and repeat. Take a look at out our Hammer Curl Exercise Guide and learn how to tweak standard curls for serious arm strength and size! The incline dumbbell curl is a bicep curl variation that placed the lifter in a position that does not allow the shoulder to become involved. By placing the lifter on an incline bench, the torso is reclined, exposing more of the biceps and increasing the overall range of motion. 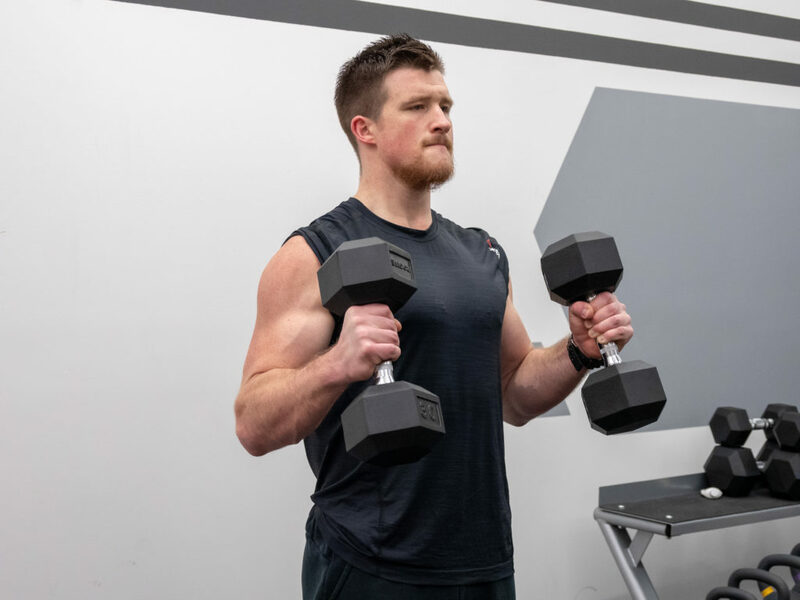 Below are three benefits of the incline dumbbell curl that coaches and athletes can expect to gain when adding this dumbbell curl variation exercise to training programs. 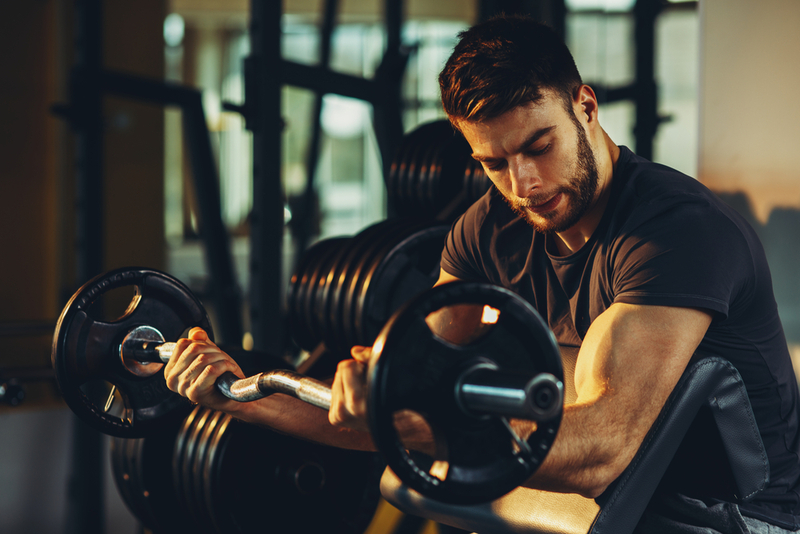 Increasing the range of motion via an incline bench can increase tension on the biceps and train the muscle through new ranges; ultimately increasing muscle damage and stimulating new muscle fibers. The incline bench setup forces the lifter to keep the shoulders pulled back and out of the movement, placing higher amounts of loading and strain on the biceps rather than allowing the shoulder joint to collapse forward and ultimately use the anterior deltoid to lift the load. This position leaves little to chance in terms of cheating, meaning that it’s a great way to make sure lifters are isolating the biceps correctly and not just swinging or using the shoulders to move the weight. Below is a brief guide on how to perform the incline dumbbell curl. Step 1: Set an incline bench at a 45-70 degree angle. Step 3: With the elbows down towards the floor, curl the weights up to slightly past parallel (about 100 degrees of elbow flexion), pause, contract, and then slowly lower the load and repeat. While this is a rowing movement, one that often is used to target the back muscles, the supinated grip bent over row can be an effective pulling exercise to target the biceps as well. 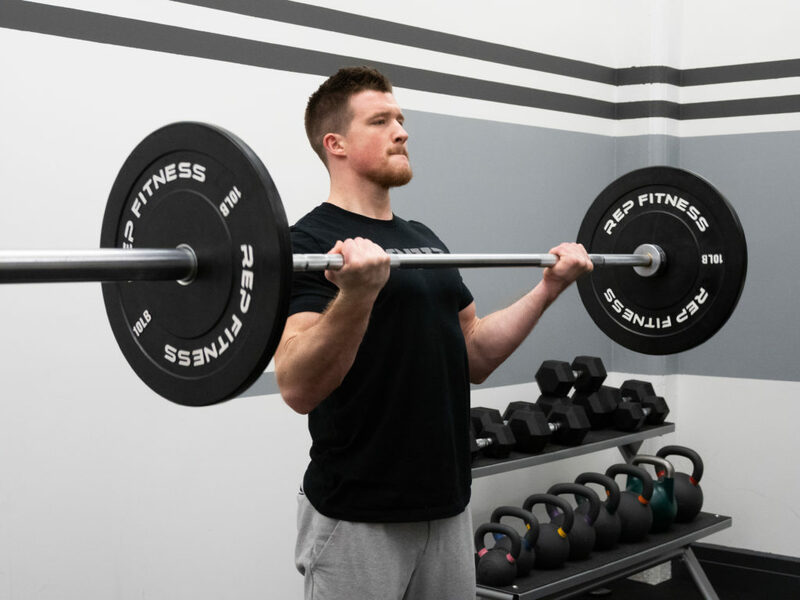 Below are three benefits of the barbell curl that coaches and athletes can expect to gain when adding this barbell row variation to training programs. Increasing both biceps and back strength and size at once with this compound movement. This can be helpful for those who have limited time in the gym or are looking to maximal both efficiency and effectiveness in a workout program. The supinated grip row will allow a lifter to use high amounts of loading (relative to barbell curls), which can help to stimulate new arm muscle growth and strength. This compound lift can promote overall arm growth and strength, in addition to increase pulling capacity of the back and hips as well. This movement can be programmed in a main strength block as well, making it a highly effective arm and back exercise. Below is a brief guide on how to perform the reverse grip bent over row. Step 1: Grab a barbell with an underhand (supinated grip), shoulder-width apart. Step 2: Assume the proper bent over row position, with the back flat and chest up. Step 3: Row the barbell to the sternum/stomach, making sure to pull with both the back and the arms, lowering the load under control and repeating for reps.
Take a look at out our Bent Over Row Exercise Guide and learn how (and why) this exercise is one of the more potent movements for overall arm strength and mass! The cable curl can be used to integrate cable training into biceps workout. Using cables can increase time under tension, allow for strength to be challenged throughout the range of motion, and enhance muscle growth and engagement via different loading patterns/angles. Below are three benefits of the cable curl that coaches and athletes can expect to gain when adding this cable exercise to training programs. Increasing the time under tension via cable training can help to increase hypertrophy and muscular demands on the biceps. Below is a brief guide on how to perform the cable curl. Step 1: Set the cables at the desired height, often from a low position. Step 2: Grab the handles, rope, or bar attachment and perform the desired curl variation. The concentration curl is a highly isolated bicep exercise that is often performed at the end of a training session, after main bicep exercises. Below are three benefits of the concentration curl that coaches and athletes can expect to gain when adding this unilateral isolation biceps exercise to training programs. The concentration curl can be a good isolation movement to help lifters recruit more muscle fibers via increase time under tension (slower tempo).. The concentration curl is all about the lifter focusing on using the biceps to move the load, often by slowing controlling the tempo and maximally flexing throughout the movement. This can help more mindless lifters become more focused on the task at hand. Throughout the concentration curl, the lifter should be maximally contracting the biceps to reinforce a greater voluntary muscle contraction to stimulate greater force output, engage more muscle fibers, and stimulate muscle growth. Below is a brief guide on how to perform the concentration curl. Step 1: Sit on a bench with the feet wide to allow your arm to hang in the middle, withe elbows/triceps resting on the inside of the leg/knee. Step 3: At the toes of the movement, flex as hard as you can, then slowly lower the load. The key is to not lose tension on the biceps at any point in the range of motion. Looking to step up your biceps game and grow those 22s? 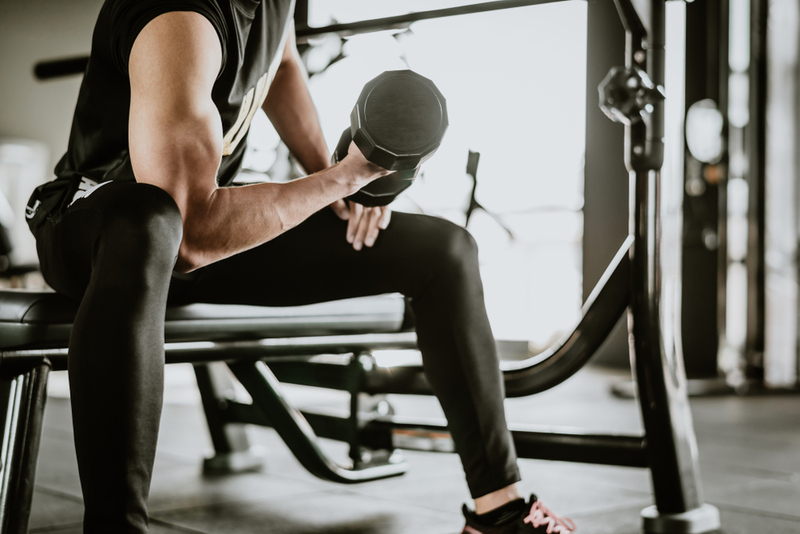 Check out these other helpful biceps training articles for strength, power, and fitness athletes! Why You SHOULD Do Curls!